In 2015 Nick Gibb, then the Minister of State for Schools, denied there was a teacher recruitment crisis in the UK , sparking an outrage with many headteachers who have been struggling to find new staff. More and more evidence suggests that there is an increasing number of school leaders now facing difficulties with the teacher recruitment. 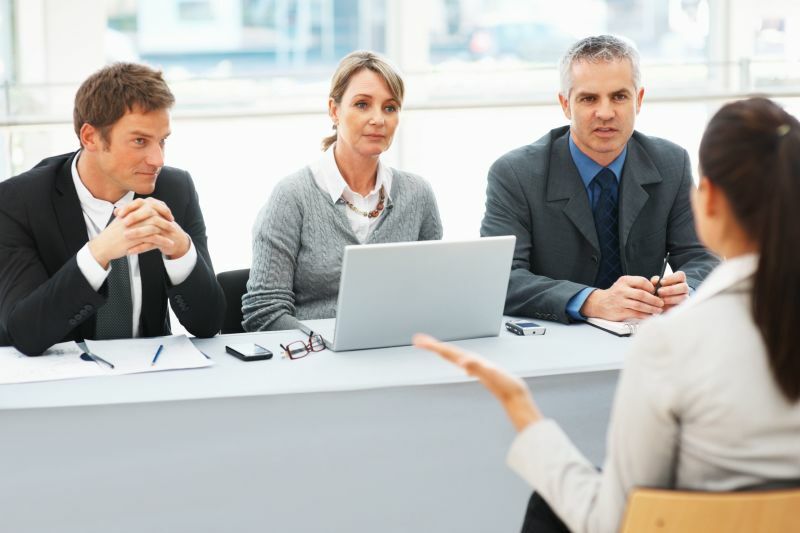 A new survey from the National Association of Head Teachers (NAHT) conducted in March 2016 suggested that nearly 79% of school leaders had problems in recruiting teachers, the majority agreed that the situation has become much worse over the last year. The main reason was due to an overall shortage of applicants. Respondents also reported a growing problem of teachers leaving the profession in their area, due to reasons such as the high cost of housing and living in the South East England, especially in London. The growing struggle to recruit means that almost half of all schools are now using recruitment agencies to hire teachers, and 69% of them said that they are doing so because of unsuccessful attempts to recruit in the past. Calling for professionals may sound like a good solution, but the price for this can be high. 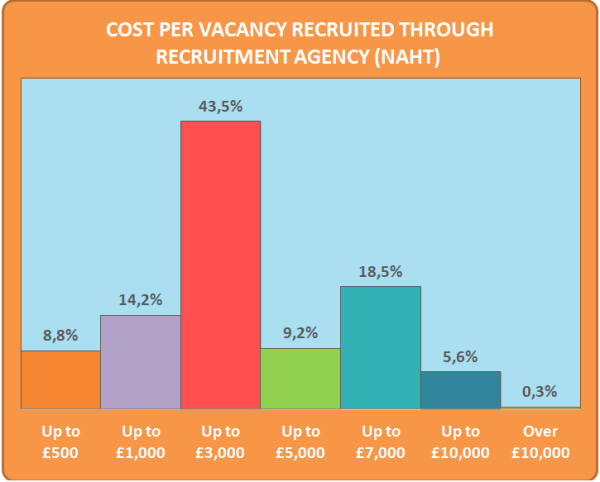 Schools are charged huge recruitment costs averaging from £3,000 - £10,000 per vacancy, the NAHT survey suggested. Teaching unions have also expressed concerns about supply teacher agencies, claiming that some companies care primarily about their profit, and not about providing high quality teachers that meet school's needs. Schools pay 15-20 per cent of a new teacher's first-year salary to the hiring agency. An investment of this size is done to ensure that they are taking on qualified, motivated employees; unfortunately this isn't always the case. According to Schools Week , Chiltern Teaching School Alliance, based at Denbigh High School in Luton, was charged a retainer fee of £1,000 for 8 weeks to find a new teacher, 20% of the teachers first yearly salary (£4000). The fees totaled £12,000, and only two terms into the year the teacher had to be let go due to a lack of competence. This example exposes another problem – some agencies don’t offer any liability. The main purpose of the supply teacher recruitment should be providing the best specialists who are keen to do their job. Moreover, the hiring process should be quick and easy, with the possibility to replace the wrong candidates without any additional fees. But the ongoing ‘recruitment crisis’ with the shortage of applicants and difficulties to retain teachers in their positions, has left recruitment agencies at the loose to charge as they wish and assume very little liability. Our recruitment services are designed not only to meet the requirements of the school but also meet their ongoing need - get a qualified teacher who is good beyond the interview and so that the recruitment does not cost an arm and a leg for the schools, just a fixed fee. Schools take note!